Are Tour de France champions born or made? Should cyclists strength train? How can pain become gain? What are the real benefits of contemporary sports nutrition? And – bottom line – can sports science help make race winners? These are a few of the questions that a gathering of world leading sports scientists, coaches and medical practitioners aim to address at the UCI-endorsed 2nd World Congress of Cycling Science at the Rose Bowl in Leeds from Wednesday 2nd to Thursday 3rd of July, just days before the city hosts the Grand Depart of the Tour de France (Saturday 5th July). The conference is organised by the University of Kent’s School of Sports and Exercise Science, which is headed by Professor Louis Passfield and Dr James Hopker, two of Great Britain’s leading names in the field. The conference has so far attracted representatives from the likes of UCI Pro Tour teams Garmin-Sharp, BMC, Francais des Jeux, Movistar and Omega Pharma Quickstep. Integrating the various aspects of coaching, sports science, medicine, technology and performance, the Congress will provide a forum for the discussion of performance enhancement with a focus on the Tour itself. Speakers and participants include former riders turned coaches Charly Wegelius (Garmin-Sharp) and Marco Pinotti (BMC Pro Cycling Team), with other special guests to be announced. As part of the Congress SRM are sponsoring a Keynote presentation where Uli Schoberer and a current Pro Tour rider (tbc), will discuss the use of power meters in professional cycling. 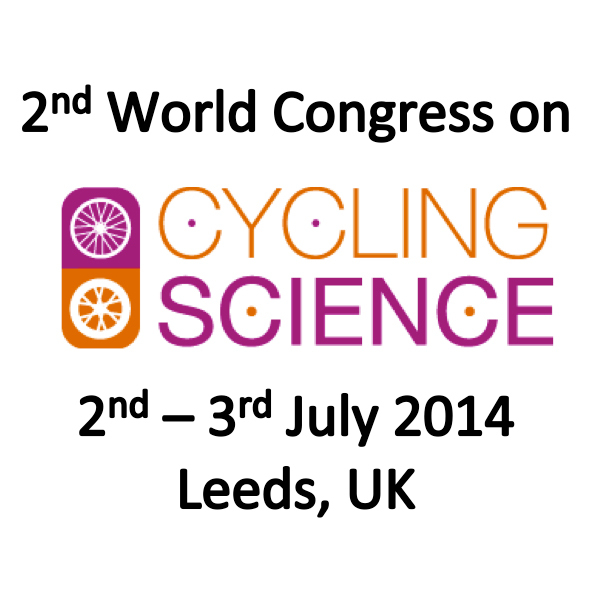 SRM will also be exhibiting PowerMeters, PowerControls and cycle ergometers at the Congress. Professor Passfield, previously a sports scientist with the Great Britain Cycling Team, said that the aim of the conference is “to further the use of science in cycling and to help share relevant information with coaches and sports scientists. The conference programme is designed to stimulate and inspire future collaboration and research-informed practice for the benefit of a new generation of cyclists”. Further information about the Congress, speakers and how to book is available at www.wcss2014.co.uk. Alongside the Congress, there will also be a free evening event for up to 250 members of the public on the Thursday evening. Further information on the evening event and to book a place visit www.wcss2014.co.uk. Dr James Hopker is the author of Performance Cycling. This entry was posted in Cycling, Sports News and tagged Bike, Performance Cycling, Road cycling, Tour de France. Bookmark the permalink.